'Because it's there'. George Mallory replied on why he wanted to climb Mount Everest. 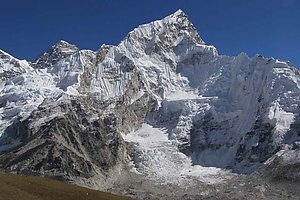 We have designed Everest Base Camp trek with Island Peak and three high passes namely Renjo la (5,340m), Chola (5,330m), Kongma la (5,535m) and finally summit Island Peak (6,160m). Cost starts at £1689 per person (Land only).